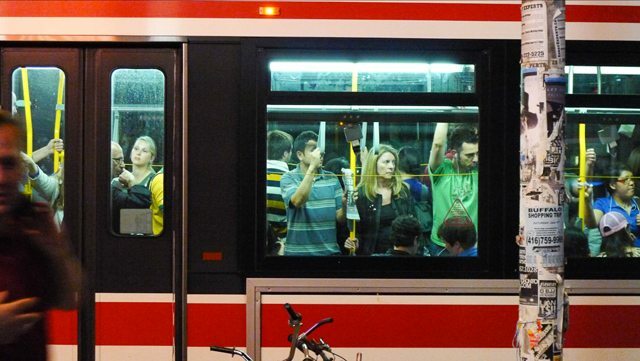 Karen Stintz has told the CBC that $5 million re-added to the TTC budget yesterday during the budget debate will not be going to mitigate planned service cuts that are slated to hit approximately three dozen bus routes. So how can Stintz overturn the wishes of council? She can’t on her own, but the TTC Board which she chairs can. Council decides how much money to give its various agencies, boards, and commissions (which include everything from the TTC to the Police Service to Exhibition Place), but it does not have the authority to specify how exactly that money will be spent. That is up to the leadership at each organization—in this case, the nine member TTC Board. Councillors knew this when they cast their votes yesterday, but presumably their hope was by explicitly attaching a particular goal for this money—preventing service cuts—they’d be able to influence, if not guarantee, the TTC’s decision. Stintz, however, along with the vast majority of Ford’s allies, voted against the $5 million restoration. Stintz told the CBC that the money would be used for buses, streetcars, WheelTrans service for dialysis patients, or some combination of the three. During yesterday’s budget debate Ford and his allies consistently returned to the question of how to pay for streetcars—Toronto has to replace its current fleet, at a cost of about $700 million—and had been pushing hard to have the entire surplus dedicated to that task this year, and in future years until the full purchase had been paid for. (This, in large part, is because the administration is opposed to using debt financing for this purpose.) Stintz’s announcement today, therefore, is a return to that theme, and one way the Ford administration is trying to push back against councillors who reversed the cuts they had been aiming for. Stintz, meanwhile, maintains that it would be relatively pointless to use the $5 million for bus service, since it is one-time money (insofar as it came from the 2011 surplus) and can’t be banked on for future years. It would, she told the Star today, just be delaying the inevitable. The next TTC Board meeting will be held on Tuesday, January 31.